PCA&D's Pop Up Print Shop will once againbe at the Giving Party hosted by Benchmark at the Ware Center!, run by Becky Blosser, PCA&D faculty member. Austin Lord, PCA&D illustration Senior has created the limited edition silkscreen design created as an on-the-spot thank you for those who donate. 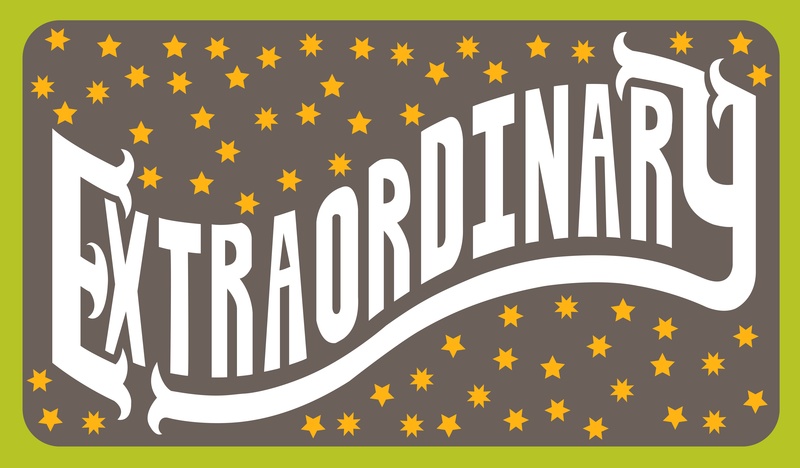 "Extraordinary," right, is a small sample of the poster Austin designed. Bring a T-shirt and we’ll silk screen it for you. The event is free and open to the everyone, and you can enjoy 20+ non-profits, including PCA&D, on display, live music, drinks and appetizers. Giving Party hosted by Benchmark at the Ware Center! The fun is happening all day! Start the day off right with coffee At PCA&D 8 - 10 a.m.
Start ExtraGive day off right with a cup of coffee, donated by Prince Street Cafe, and giving stations at PCA&D. Donate to PCA&D here on Friday November 17 and be in the runningfor some special giveaways! 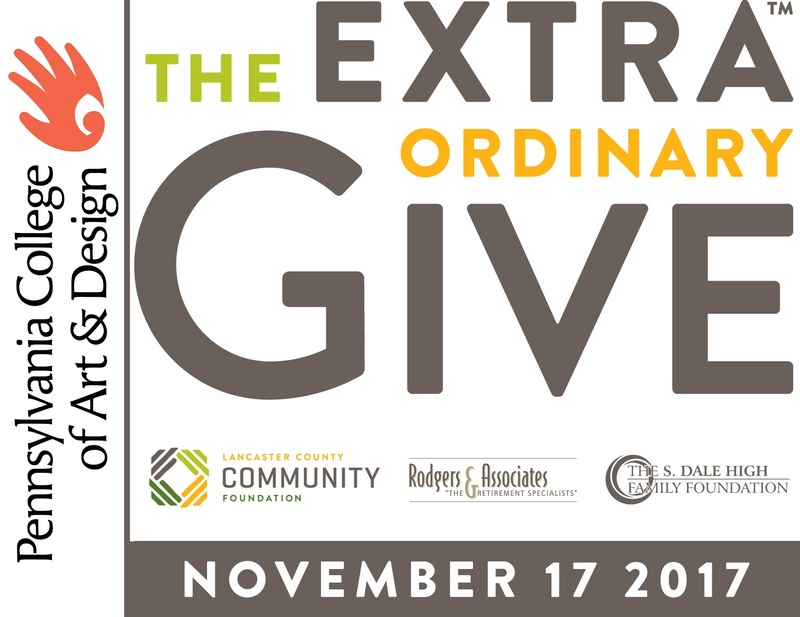 On November 17, 2017 donations will be accepted from 12 midnight - 11:59 p.m. as part of Lancaster County's largest day of online giving, On that day, every dollar donated will be stretched by at least $500,000 from the Lancaster County Community Foundation,our Presenting Sponsors Rodgers & Associates and the S. Dale High Family Foundation, plus our generous community partners, to support non-profit organizations in our community! This event is one of the reasons that Lancaster County came in first as the “most generous place in Pennsylvania,” according to philanthropy.com. Last year, donations to 400 area non profits, made through the event sponsored by the Lancater County Community Foundation, raised well over 7 million dollars, at a pace of $83 a second during the 24-hour event on November 18, 2016. Every amount helps PCA&D nurture young artists today so that they can enrich our world tomorrow. Watch this space for more details about PCA&D's ExtraGive activitied! Provide a partial scholarship for an individual middle school student to attend a course as part of our Young Artist Academy program. The middle school years, grades 6 – 8, are a crucial time for young people with creative talent to develop the critical skills needed for success in the arts. PCA&D’s Young Artist Academy provides a strong foundation on principles of design, art history, and creative thinking. The class focuses on allowing students to think more like an artist through self-discovery, camaraderie, and creative problem-solving, and includes a mini-exhibition for the students. Help to make it possible for PCA&D to offer multicultural exhibitions and educational programs to students in Lancaster County. The significance of art in the lives of our youth cannot be underestimated. Yet, just when research is finally emerging that supports this, budget cuts and curricular demands are threatening the foundation of creativity in our public schools. 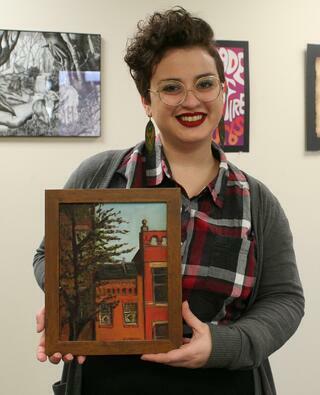 In order to fill that gap as well as enrich the community, Pennsylvania College of Art & Design developed The Mosaic Project, a multicultural exhibition and education program for students and families in Lancaster County. Provide scholarship money to a BFA student. We are proud of the exceptional level of creativity displayed by our students at PCA&D. For many of these students, an education in the arts would not be possible without financial support. It is through scholarships that students from financially disadvantaged backgrounds are given the chance to develop as artists and students.